Willowood Tebustrobin SC is a broad spectrum fungicide for use on soybeans, grapes, nuts, and other various crops. For specific use instructions see back or refer to Willowood Tebustrobin SCproduct label. 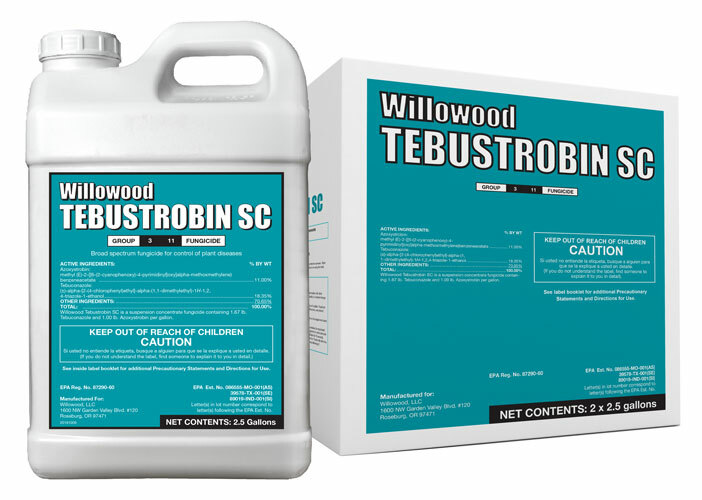 Willowood Tebustrobin SC is a suspension concentrate fungicide containing 1.67 lb. Tebuconazole and 1.00 lb. Azoxystrobin per gallon.